Mayday! Mayday! Arrow’s May release have arrived! Arrow Video and Arrow Academy are proud and excited to bring five new releases into the homes of cinephiles everywhere this May. The month begins with a three-course dish of genre delights from Arrow Video sure to satisfy the appetite of horror fans the world over and comes to a close with two must-own titles from Arrow Academy. The starter dish for this darkly delectable feast is Two Thousand Maniacs! from the Godfather of Gore, Herschell Gordon Lewis. During a Centennial celebration six Yankees are tortured and killed by residents of a small town in the Deep South as revenge for the town’s demise during the Civil War. 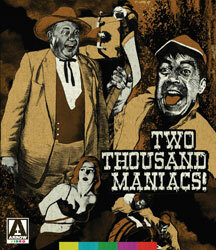 Featuring the signature gore and dark humor Lewis was known for, Two Thousand Maniacs! is an entertaining piece of 60’s horror that is shockingly relevant in today’s tumultuous political climate. The main course for May is some hearty Italian served up by master chef Joe D’Amato with Death Smiles on a Murderer. Ewa Aulin, Luciano Rossi and Klaus Kinski star in this tale of an ancient medallion used to raise the dead that mixes equal parts of gothic horror and giallo. 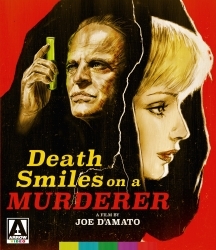 Death Smiles on a Murderer is notable for being the first and one of the only times D’Amato was credited under his real name, Aristide Massaccesi. The Arrow release will feature brand-new 2K restoration from the original camera negative. 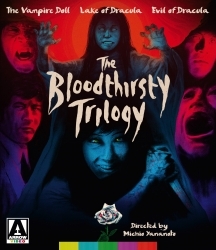 Rounding out this macabre meal is a dessert shooter in the form of Toho’s The Bloodthirsty Trilogy. Toho, the famous Japanese studio known for Godzilla and other kaiju films, decided to take a page from the British and American studios and bring the story of Dracula to Japan starting with The Vampire Doll. That first film was followed by Lake of Dracula and Evil of Dracula, with all three titles coming from director Michio Yamamoto. The three films all put a Japanese twist on the vampire mythos and collectively are known as The Bloodthirsty Trilogy. All three films will be presented in one box set loaded with special features. Arrow Academy’s two releases for May include Abdellatif Kechiche’s Black Venus and Roger Donaldson’s Smash Palace. Black Venus is based on the life of Saartjes Baartman, a woman taken from South African to Europe in the early 1800’s under the guise that she would receive fame and fortune. The sad reality is that Baartman was subjected to humiliation and exploitation as she was caged and toured around as part of a freak show where people would poke fun at her body. Arrow Academy is proud to present this important film in high definition. 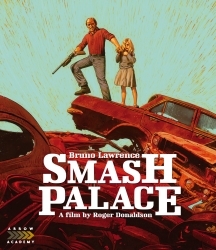 In Smash Palace, director Roger Donaldson tells the story of a former race car driver that ruins his marriage because his love of cars is stronger than the love he has for his wife. After his wife leaves him for his best friend, the once great racer decides to kidnap his daughter in an effort to hold on to whatever sense of family that he can. The Arrow Academy release comes with a number of special features including a 51-minute documentary on the making of the film.